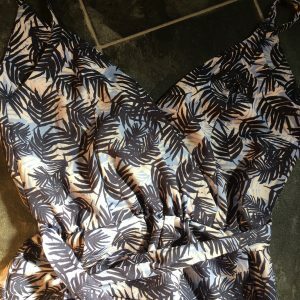 As the weather was so nice over this bank holiday weekend, I thought I would give some summer sewing one last go, before I go fully into focusing on Autumn/Winter. 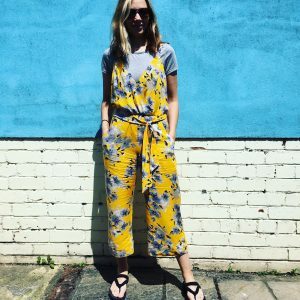 I had previously made the New Look 6493 jumpsuit from a gorgeous yellow floral viscose that I got from Fabricland. 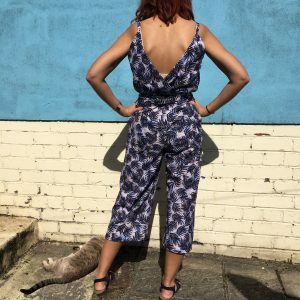 This fabric then became quite popular all over Instagram once Cottonreelstudio started stocking it, but I like to think I was ahead of the curve! I made my new version from a stretch crepe fabric that I got from the Sewing Weekender fabric swap. 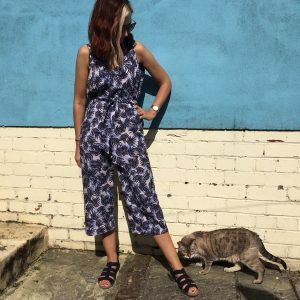 It really caught my eye and, at first, I thought I would make a dress from it, but then I remembered the jumpsuit pattern and thought they would be a match made in heaven! The crepe did feel a little bouncy and I was worried that it wouldn’t be easy to press, but it actually holds its shape really well. It is a fairly easy pattern and can definitely be made in a day and is pretty versatile. I am thinking of making a plain black crepe version next to wear to work during Autumn with a nice pair of heeled boots. In terms of alterations to the pattern, I used a 1 inch seam allowance for the side seams of the bodice, facings and trousers, as the previous version that I made came up too big. 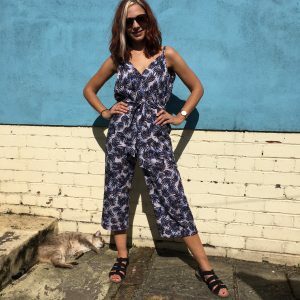 The picture on the front of the pattern is very deceiving as it really isn’t that fitted, and you would struggle to wear it without a top or vest underneath. I have actually sewn a little popper in to mine so that I can wear it on its own if I am feeling brave! I also raised the hems by 3 inches for a more contemporary feel. I found with the viscose versions that the facings had a tendency to flap out as they are quite wide, but I solved this by using some hemming tape sandwiched between the facing and the main fabric and ironing in place. It works really well and keeps everything nice and neat. It is a great pattern, but my only concern is that the sizing is completely out. 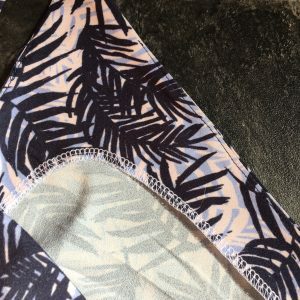 If you do plan on making it yourself, make sure you look at the finished garment measurements that are printed on the pattern pieces. © Like Sew Amazing 2019. All rights reserved.